The College is an award winning educational facility that offers an alternative schooling experience for Year 11 and Year 12 students. 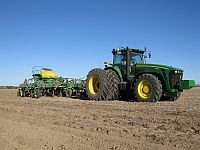 It is one of five Agricultural Campuses within the secondary division of DET providing training for students seeking careers in agricultural or allied trades industries. Students attending the College are able to enjoy a combination of classroom courses and work experience in a real farming environment and industry standard workshops. The one hundred and sixteen students chosen to attend the College board on campus in a dormitory style residential facility and have access to a range of state of the art recreational facilities. The College is a Registered Training Organisation delivering level II qualifications under the Australian Quality Training Framework. 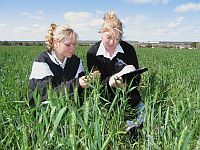 Through these national qualifications students are able to access trade apprenticeships, employment in agriculture related industries, further studies at Muresk (Curtin Uni) or TAFE. For more information on the College please contact the campus on (08) 9635 1302 or visit their website www.cunderdinag.wa.edu.au for more comprehensive information and application details.